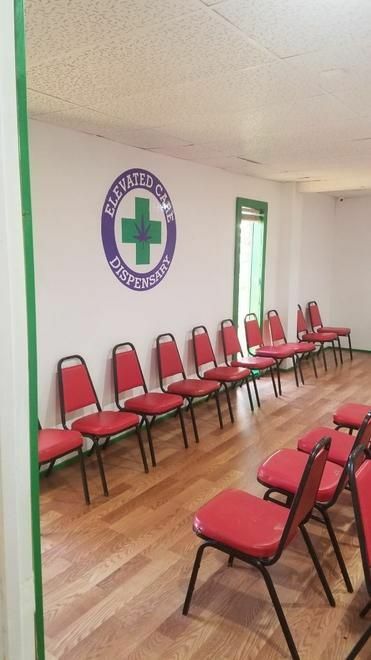 Our mission at Elevated Care Dispensary is to carry all types of Medical Marijuana to see to cases ranging from stress to depression and pain to cancer. We have a friendly staff that is eager to help you with your selections or any questions you may have. We strive to have a comfortable environment for all customers whether you are a frequent cannabis user or a first time patient. We have a large waiting room with chairs and reading material so you don't have to stand out in the cold or heat in the summer. We are here for you and your needs. We are located at 1605 W. Broadway in Drumright, Oklahoma on the North side of Highway 33, just west of the truck route and 19 miles north of I-44. We service the Drumright, Cushing, Stroud, Oilton, Shamrock, Bristow, Yale, Agra, and Stillwater area. We are a family owned business with a wide array of products to offer our customers ranging from concentrates to flower. And lets not forget our head shop area with the best products on the market to meet your every need.